Your new must-have handbag!!! Super stylish & chic bucket bag, either carry with the golden loop handles or use the adjustable cross body strap to sit comfortable over the shoulder. 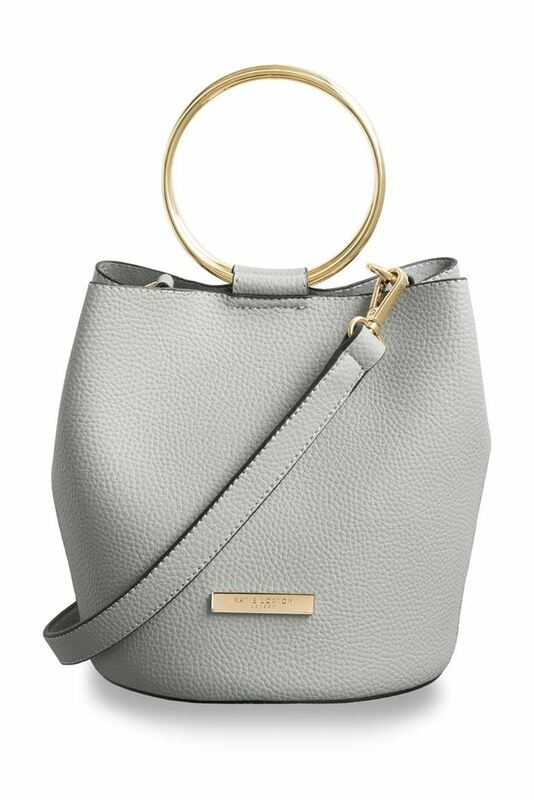 Katie Loxtons new classic grey Suki mini bucket bag is one of the latest additions to their collection this season! This handheld and over the shoulder bag is finished with golden loop handles to create the ultimate chic bag for this winter.